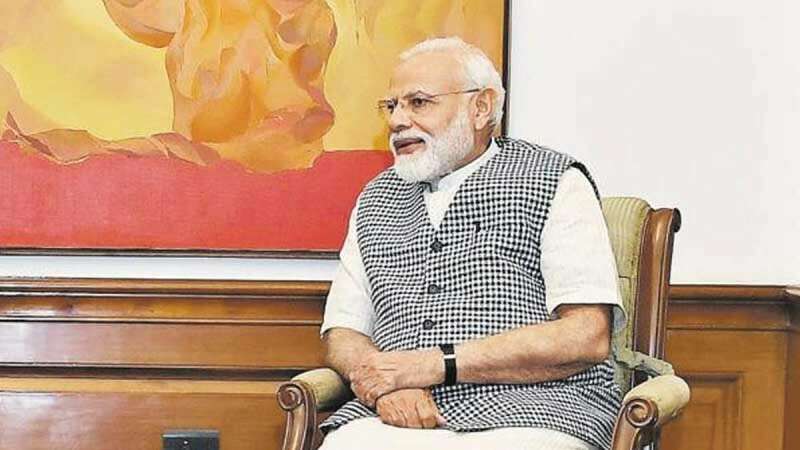 New Delhi : In an exclusive interview with Hindustan Times, Prime Minister Narendra Modi said that the world knows and have faith in India's zero tolerance policy against terrorism. “Pulwama has convinced the world that what India says is right. Because of that, the entire world supported us when the air strikes were conducted. There was a time when only Russia was with us on the international stage, while the rest of the world was with Pakistan. After five years, only China is with Pakistan and the rest of the world is with India. "Both India and the world know that Modi and India have a zero-tolerance policy on terror," PM Narendra Modi said. Several opinion polls have predicted that Prime Minister Narendra Modi will be forming the government after the Lok Sabha Election 2019, but with a slightly less number of seats than it had in 2014. Modi doesn’t agree. “The way people are joining the BJP, from all over, be it Odisha or West Bengal, the wave is very much visible,” he said. “Our government will indeed be formed. It is going to be a full majority government. The BJP will get more numbers than earlier”. Talking about Congress' poll manifesto and Rs 72000 per year scheme for the poor section of India, Modi said many of the promises it contains had been made before. The Congress has in the past promised direct income payments and a high minimum support price for the produce of farmers, but the party forgot about them. Then it promised electricity for every household; that too was forgotten. In 2009, it promised broadband connectivity in every village and now, in 2019, it is repeating the same promise, he said, wondering what it had done for the poor since independence.